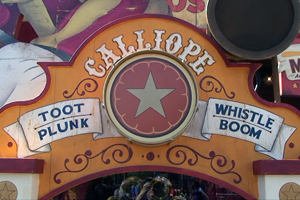 There are quite a few references to characters and films, including “Toot, Plunk, Whistle, Boom” (below, left), which is the name of an animated short from the 1950’s. 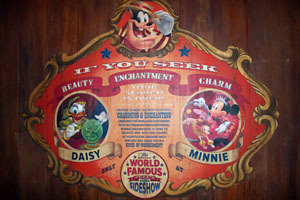 Pete’s Silly Sideshow showcases meet-and-greets with 4 characters: Daisy, Minnie, Goofy and Donald, as you’ve not seen them before. 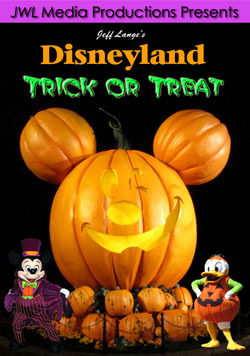 There are two entrances – one for Goofy and Donald, one for Daisy and Minnie (below, right). 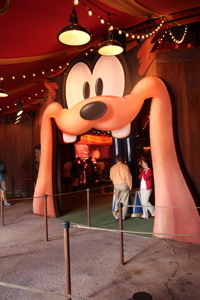 Guests for either side walk through a giant entrance in the shape of Pete’s mouth (below, left). 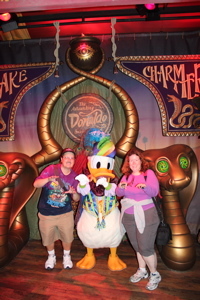 We waited for about 20 minutes each, which wasn’t bad since we were meeting 2 characters each time. The Great Goofini poses for us (below, right), apparently after a cycling mishap. 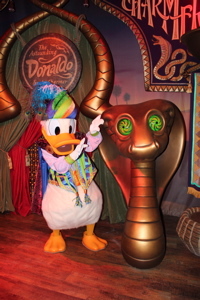 The Amazing Donaldo (below, left) is a snake charmer, and quite a ham as well! He had us pose as charmers with him (below, right). 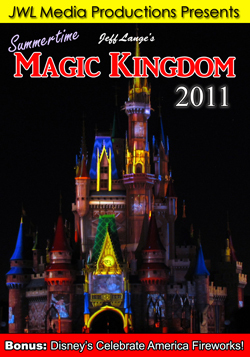 The characters took a good amount of time with each group and we really enjoyed the interactive element the props and storytelling allowed. 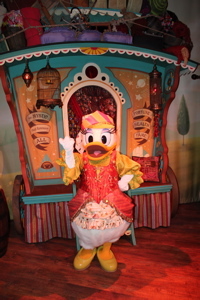 Madame Daisy Fortunata is a fortune teller (below, left). I asked her what my fortune was, and she seemed to think that it’d be riches! That would be nice, but Denise just figured a picture would be in our future – and it was. 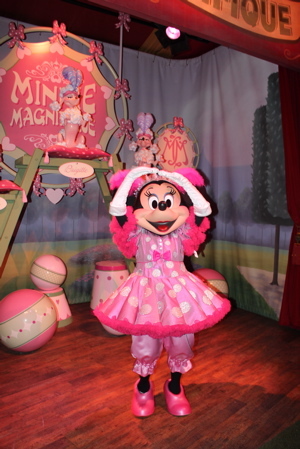 Minnie Manifique does a pirouette for us (below, right), which you can also see in our video. 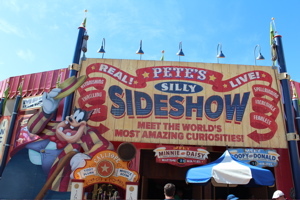 Video #1 – Pete’s Silly Sideshow, Storybook Circus Fantasyland, Magic Kingdom w/ Goofini, Donald, Minnie, Daisy – Pete’s Silly Sideshow in Storybook Circus is now open! 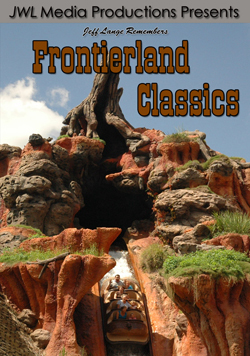 It features the Amazing Donaldo, The Great Goofini, Minnie Manifique, and Madame Daisy Fortuna. 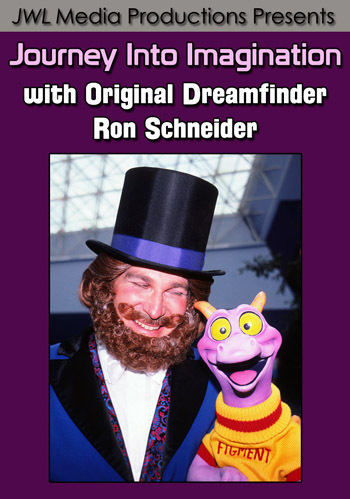 It’s a very nicely done meet-and-greet in the new Fantasyland expansion! 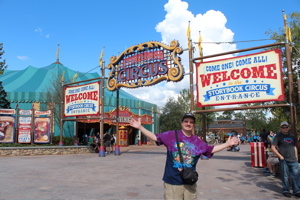 We also hadn’t seen the Big Top Souvenirs shop (below, left and right) yet, which our friend Daniel recorded for us a few days back. 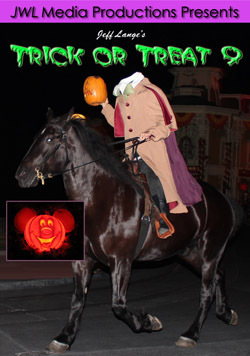 It’s nicely themed for the circus, and with some Storybook Circus land merchandise. 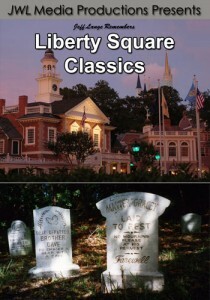 Hopefully there will be more! 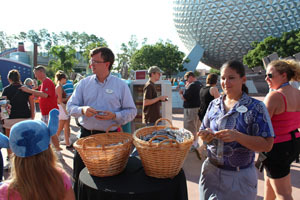 You can see in the first photo that there are tables, which are set up near food carts. Look at this crazy hair (below, left)! 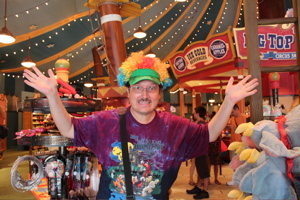 I tried on a cap with clown hair in the shop. 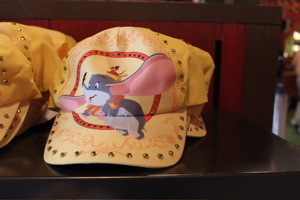 Another favorite is sure to be this Dumbo ball cap (below, right), which unfortunately is only available for kids so far. 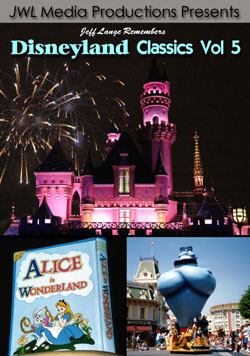 Much of the merchandise is geared towards children, but hopefully that will change in the future. 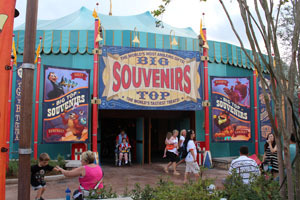 Video #2 – Big Top Souvenirs Grand Opening, Storybook Circus – New Fantasyland, Pete’s Silly Sideshow – This is the new Big Top Souvenirs in the Storybook Circus section of New Fantasyland, which had it’s Grand Opening today! 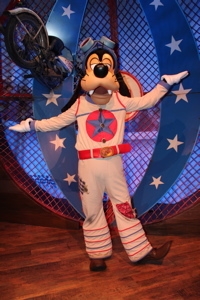 The Cast Members welcomed our friends into the store. 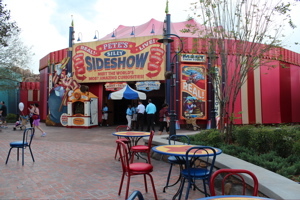 You can also see where Pete’s Silly Sideshow will be, as well as the Fastpass machines for Barnstormer and Dumbo. 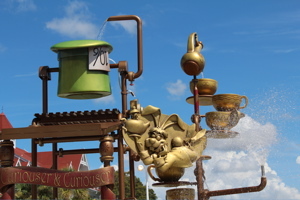 The Alice in Wonderland themed water play area at Disney’s Grand Floridian Resort was set to open while we were away in California (below, left). 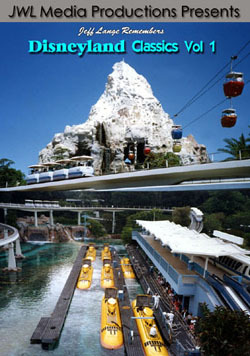 It’s not a huge playground, but definitely a nicely themed one! 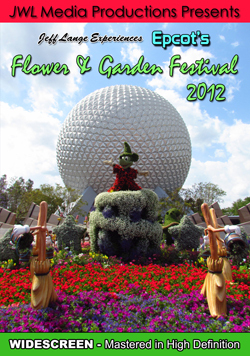 The White Rabbit (below, left) appears to be having a spot of tea. 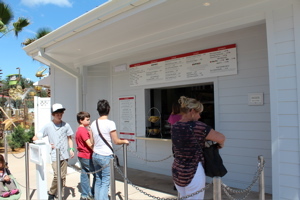 The Beach Pool Bar offers new counter service options while Gasparilla Grill is under refurbishment. 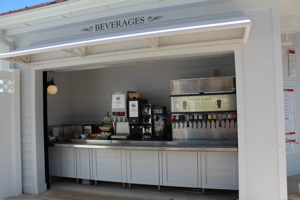 There is a refillable drink station (below, left), along with a variety of menu items (below, right). There is even a Pina Colada Cupcake! 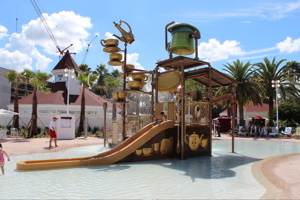 Video #3 – Disney’s Grand Floridian Resort – Alice in Wonderland Themed Water Play Area, Walt Disney World – This is the new Water Play Area at Disney’s Grand Floridian Resort, themed to Alice in Wonderland! 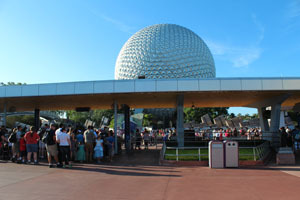 Earlier this week, we celebrated Epcot’s 30th birthday (below, left). 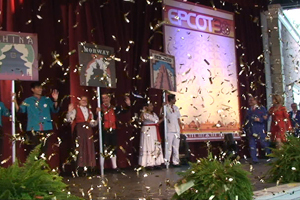 First, we enjoyed a D23 event on Sunday (check out a video recap on our MouseSteps Weekly youtube show here). 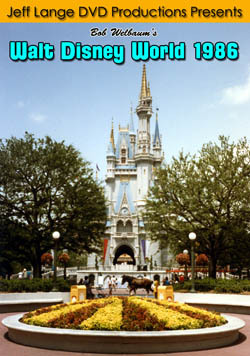 Monday was the official day for the 30th, and Disney did a great job at keeping maps and buttons stocked all day (below, right). 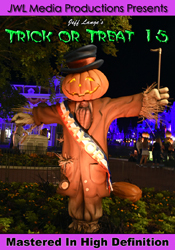 We were told by a Cast Member that they ran out in the afternoon, but received more of both – and we saw them being handed out as late as 7:30 p.m. 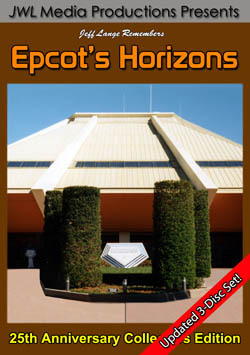 It won’t be a surprise to anyone who listened to our Mousesteps Weekly Show – sat in by Martin Smith, who contributed to this segment, that the 3:00 p.m. event was the lower point of the day. 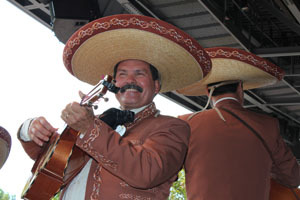 Mariachi Cobra (below, left) from the Mexico pavilion did a fine job performing, but the music lasted for longer than a normal show opening. 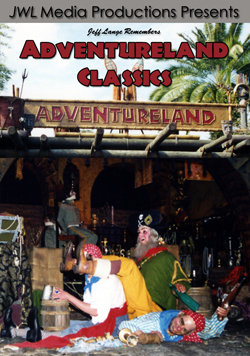 World Showcase Cast Members wave (below, left) as the Voices of Liberty walk onstage. 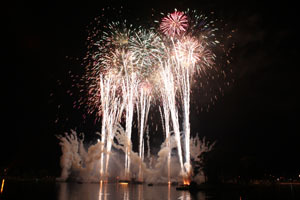 It was mostly a forgettable event, but all was made right when Illuminations: Reflections of Earth began! 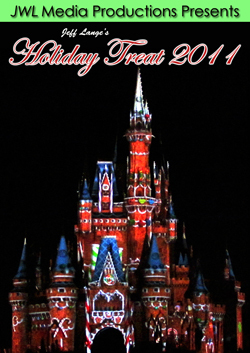 We really had a great day overall with a multitude of friends, and enjoyed the talk by Marty Sklar that was sponsored by D23. 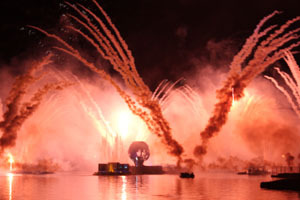 But the highlight had to have been the special tag for Illuminations: Reflections of Earth (below left and right). With music that included a segment from Surprise in the Skies, and fireworks booms that rivaled New Years Eve, this was a spectacular ending to our day. 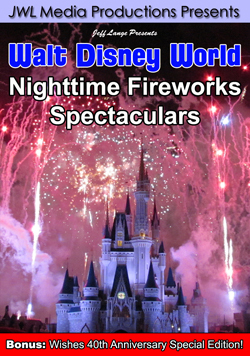 Video #4 – Epcot’s 30th Anniversary Illuminations Fireworks Tag – Walt Disney World Special Epcot Finale – This is the Epcot 30th Anniversary Special Fireworks Finale to Illuminations: Reflections of Earth 10/1/12 – Recorded in World Showcase in front of the Germany Pavilion this was a one-of-a-kind Spectacular not to be missed!